Work in the Creative Industries is incredibly varied, challenging and immensely rewarding. Not many people, however, are aware of the enormous diversity of jobs that come under the creative industries umbrella. 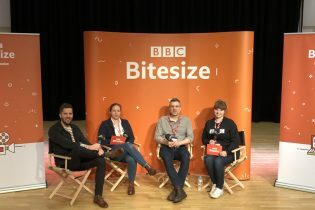 This year, BBC Bitesize took to the road to encourage young people to think about a career in the Creative Industries, spreading the word via a series of panel sessions in schools across the North. 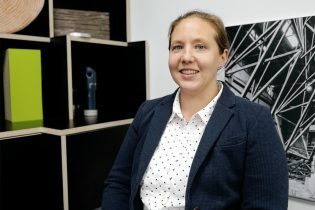 They got in touch with us to see if we could send a panellist and Mechanical Design Engineer, Gemma Webster, volunteered. Gemma has been with us for over seven years. Her first project was something of a baptism of fire, one of the most complex and high-profile projects we’ve ever delivered: the London 2012 Olympic Cauldron. She’s also worked on numerous Serpentine Pavilions, Events projects and Ceremonies, making her an interesting panellist, most definitely challenging preconceived ideas of a typical Creative Industries role. You can watch Gemma’s Stage One Story here. The sessions focused on careers and featured a panel of 3 professionals offering an inspiring insight into the world of creative work, as well as highlighting routes and opportunities within these sectors that students may not have considered. Other panellists with Gemma included a Graphic Animator and a Researcher. BBC Bitesize is a BBC online service dedicated to supporting and helping primary and secondary students with their studies outside of the classroom.